At Kaizen we print products for a range of different companies and business types. One of our fastest growing products is the analysis pad, which is extremely popular with solicitors and accountancy practices all over the United Kingdom and Ireland. These pads are the perfect tool for keeping track of any expenses, revenue, stocks, and accounts your company has. While it is true that many companies have made the switch to using computer software to store records in order to be green and save paper, it doesn’t hurt to have a physical back up. After all, technology is only great when it actually works. Even companies with a great IT department are prone to computers breaking down and Microsoft Excel crashing. When this happens it is handy to have an analysis pad to hand. That way you can ensure that your records are kept up to date and avoid any grievances should you get an unexpected audit. At kaizen, we only use high quality, state of the art printing techniques and we print on environmentally friendly FSC approved paper which guarantees our printing is second to none. Our analysis and legal pads can be printed in black and white or full colour on 80gsm bright uncoated paper. By using this paper stock, we can assure you that whether you write in pen or pencil, it will transfer perfectly onto the page. Well, so long as the person tasked with keeping track of the records has good hand writing. Each pad is finished with a hard backing, making it even easier to write on. In addition, we also provide a heavy cover on all of our pads, which helps keep your records away from prying eyes. The pads can also be drilled in two positions to let you easily file your work away securely in a folder. All of our analysis pads are printed at A4 size in sets of 100. We do have a minimum order quantity which starts at as little as 20 pads, so you can be sure you have as many or as little as your company needs. Lead time on this kind of project is usually six to seven days. At Kaizen we are committed to helping you get the best out of your products, so if you have a tight deadline we can speed things up it if required. Just make sure to let us know in advance and we’ll do our best to accommodate your needs. If you need a hand with the design, don’t hesitate to get in contact with us. 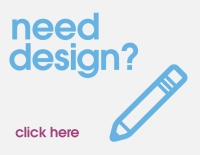 Our team of experts are on hand to help you, whether you need a design made from scratch or just need your company’s logo branded on the page. We’re here to help. Give us a call on 028 9002 2474, to have a chat about your ideas, or drop us an email at customer.service@kaizenprint.co.uk. Alternatively, you can pop in to see us at our office in Belfast on Lisburn Road. We are always happy to help.